Cancel whatever plans you had tonight. You have new plans, and I promise, you’re going to love it. We were fans of Forty’s Chicken and Waffles back in the food truck days. Now, we couldn’t more excited that they are back and better than ever. Snuggled in the back of Old North Arcade, Forty’s has somehow managed to get even more awesome. The menu is still full of delightful little treats, like tacos made with a waffle shell and mac and cheese piled high on waffle fries. The kitchen is small but it doesn’t matter. I’m convinced they could make the perfect chicken and waffles in a box. When I say that my chicken and waffles were pure perfection, I truly mean it. Fluffy, crispy, flavorful. I could go on and on, but I think a picture is probably worth 1,000 words in this case. 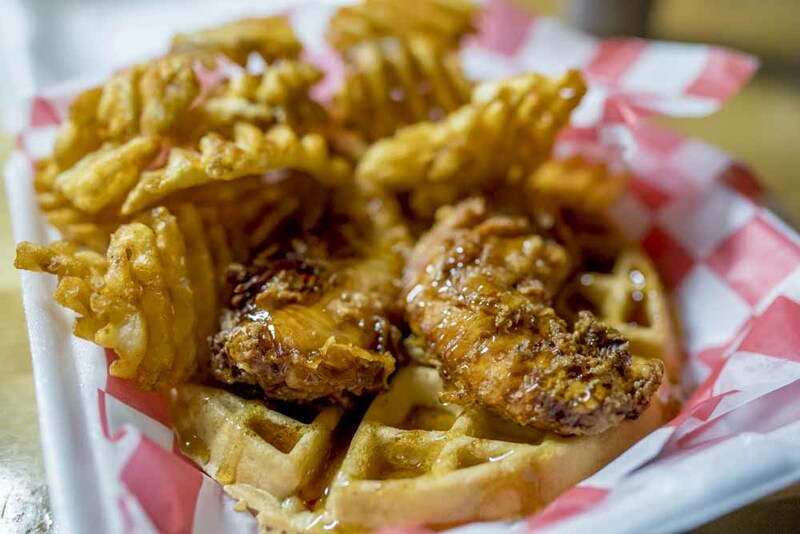 Forty’s Chicken and Waffles officially opens today. You’ll find them at 2593 N High Street and they’re open Thursday & Friday from 4 p.m. to 12 a.m. and Saturday & Sunday from 12 p.m. to 12 a.m.